Embrace your destiny as the chosen one in this amazing Match 3 game. 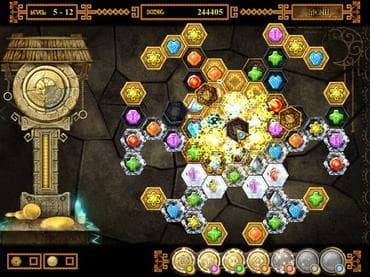 Download 7 Gates: The Path to Zamolxes free game and start playing now! Embrace your destiny as a chosen one in 7 Gates - The Path to Zamolxes, a masterful matching game that's full of surprises. Long ago, the Romans conquered the Dacians. While fleeing their impending servitude, the Dacians asked the gods to hide their treasures so that they would not fall into the wrong hands. Now only ruins remains but their history should not be forgotten. In order to return their treasures so that the world can learn of this ancient people, you have been selected to find them once again. Take a step through time and solve the Match 3 puzzles to uncover the many treasures of the Dacians. Play more than 80 unique layouts, overcome various obstacles, and use helpful power-ups to win gold or silver awards. In between, you can also enjoy fun Hidden Object searches. Can you reveal the history of these ancients? 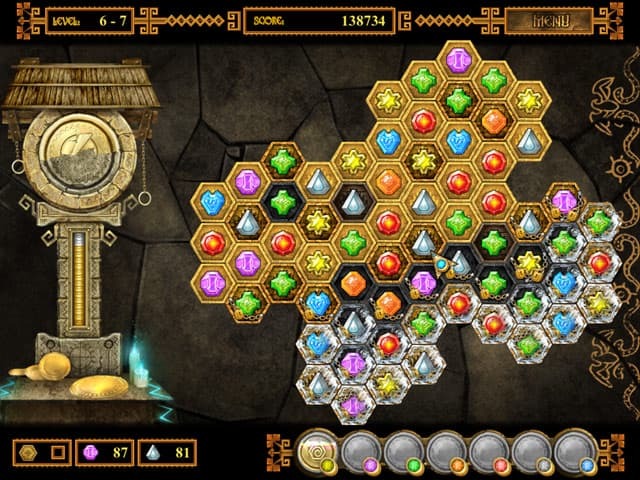 Find out when you download the full-unlimited version of 7 Gates - The Path to Zamolxes today! 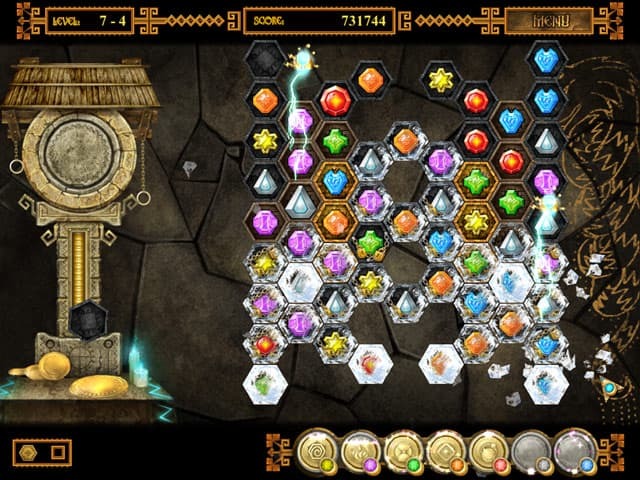 Free Game features: - Embrace your destiny in this satisfying Match 3 game; - Find the treasure to restore seven Dacian Temples; - Use helpful power-ups to clear more than 80 wonderful levels; - Solve tricky puzzles and play extra Hidden Object mini-games. All games provided at this web-site were licensed, sublicensed to us for distribution by other game developers, game publishers or developed by internal game studio and provided free legally. If you have any questions about this game, please contact us using this form.